According to USA Today, a Haitian couple currently living in the United States is believed to be the oldest married couple in Rockland. 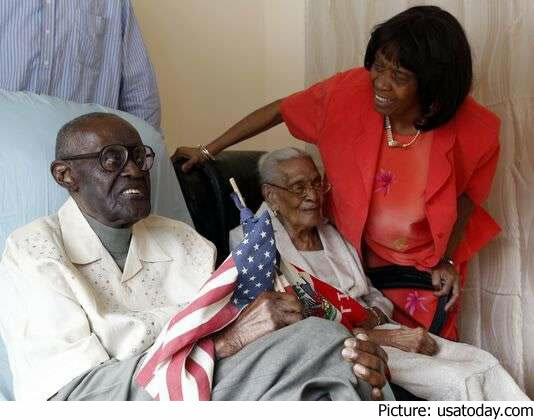 Husband Duranord Veillard just turned 108 while his wife turns 105 in May. The two have been married for 82 years. How many of you currently married feel that you can ever reach something like this. With a marriage that has lasted longer than most people ever live to be, Duranord and Jeanne Veillard are planning to meet their respective birthdays this year with 82 years of marriage behind them, with more to come judging by their continued health. 108 as of February 28, Duranord and his wife, who will be 105 in May, are thought to be the oldest married couple in Rockland County where they make their home. Lisa Sbrogna is one of thousands of volunteers working through small medical non-profits like Forward in Health (FIH) to serve the poorest suffering from untreated medical conditions. A Millbury, Connecticut resident, Sbrogna first came to the island in the wake of 2010's disastrous earthquake. She anticipated the trip would be stimulating and gratifying, but was unprepared for how the people would affect her personally. She discovered Haiti's rural people are so impoverished simple medical conditions like an open cut, high blood pressure, or very treatable skin infections grow severe. This occurs because the poor in a town like Fonde Fred (population 9,000) lack health clinics. Haiti continues to struggle nearly five years after the 2010 earthquake. Large segments of the population remain homeless, roads are un-navigable, and food shortages and lack of clean drinking water persist. But the most urgent challenge Haiti faces is improper human defecation, leading to the spread of cholera. The water-borne pathogen is transmitted through contact with contaminated feces. The government has endeavored to make communities aware of how they can become infected with it, but residents in areas such as Cap-Haitien and Port-au-Prince continue to use plastic bags to defecate in. The use of these crude devices causes transmission of cholera within each household and then out into the community. Port-au-Prince's St. Francois de Sales Hospital has re-opened on the heels of the fifth anniversary of the 2010 earthquake, which occurred January 12th. SFDS is Haiti's original Catholic health care facility. The rebuilt hospital has increased its bed capacity and become a teaching hospital. The Port-au-Prince Archdiocese and Catholic Relief Services (CRS) built the structure with funds contributed by the Catholic Health Association of the United States and the Dominican Republic's Sur Furturo Foundation. CRS Director Dr. Jude Banatte said the magnitude 7.0 quake demolished almost all of the hospital, killing 70 medical personnel and patients. The former hospital was not built to withstand a high magnitude earthquake, and was ill-prepared for the devastation and loss of life as the earthquake's epicenter occurred only 16 miles from the capital. First responders on the scene had to resort to performing triage in the hospital parking lot. Over the next few days remaining medical personnel and first responders conducted 1,000 surgeries and tended 70,000 wounds. According to Dr. Jean Ronald Cornelly Director of Oncology Program at the Ministry of Public Health and Population in Haiti cancer is a major health problem in Haiti. Women between the ages of 40 and 50 years have a bigger chance of dying from either cervical cancer and breast cancer than anything else. Eske nou konnin plis fanm mou ak Kanser ke tout lot bagay an Ayiti. Anpil fanm Ayisyen ki mouri, se pa Djab ki pran yo, se souvan yon kanser ki fini ak moun sa yo. On 4th February, 2015, Dr. Jean Ronald Cornelly, the Director of Oncology Program at the Ministry of Public Health and Population (MSPP) has said that cancer, like globally, is a serious health threat in Haiti that needs immediate attention. Most of the cancer cases in women are cervical and breast cancers and commonly, it becomes life threatening between 40 and 50 years of age. Dr. Jean Cornelly while addressing on the World Cancer Day, has reminded that with cancer, Haiti has one of the highest incidence and mortality rate in the world, because we are not well equipped to diagnose the disease at the early stage and neither have we had structured program nor good treatment for the malady. He cited one recent report from the World Health Organization (WHO) which suggests that as per regional statistics on the Latin American and Caribbean zone, Haiti has the highest incidence of this deadly disease. Out of 100,000 cases, 93.2 women suffer from cervical cancer and of that, 53.2 women dies from it. Dr Vincent De Gennaro, the Head of Internal Medicine for the project Medishare, has explained that the reason for such high mortality rate is that 80% of the patients never report until the disease is at an advanced stage. One possible good thing to come out of the 2010 earthquake devastation is that Haiti has become the inspiration for a great many ideas to make people's lives safer and less susceptible to natural disasters. The latest concept to be dreamed up for and tested in Haiti is that of open-air clinics. Taking advantage of the tropical climate, two beautiful clinics, left largely open to the elements to capitalize on the free flow of Caribbean air, are soon to be opened up to the public. While the virility of the design has yet to be tested, the idea seems a sound one that should yield favorable results. There is a chance that your doctor will not be in the same room with you soon. In addition, you might not be able to touch him/her either. This actually is taking place as we speak in Haiti. Technology has reached Haiti n ways we could not even imagine few years ago. 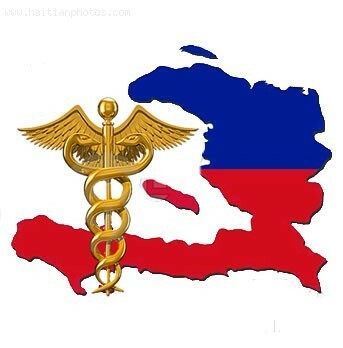 Thanks to the University of Miami Miller School of Medicine, Haitian currently living in Haiti now have access to some of the best doctors in the world via web cam. UM internist, Dr. Antonia Eyssallenne, who flies to Port-au-Prince regularly, says doctors at Bervard Mevs can perform the stabilization procedures but ". . . there are cases that require more sophisticated and specialized attention to manage properly." The UM trauma specialists' job is to advise and support doctors they are performing the procedures correctly. 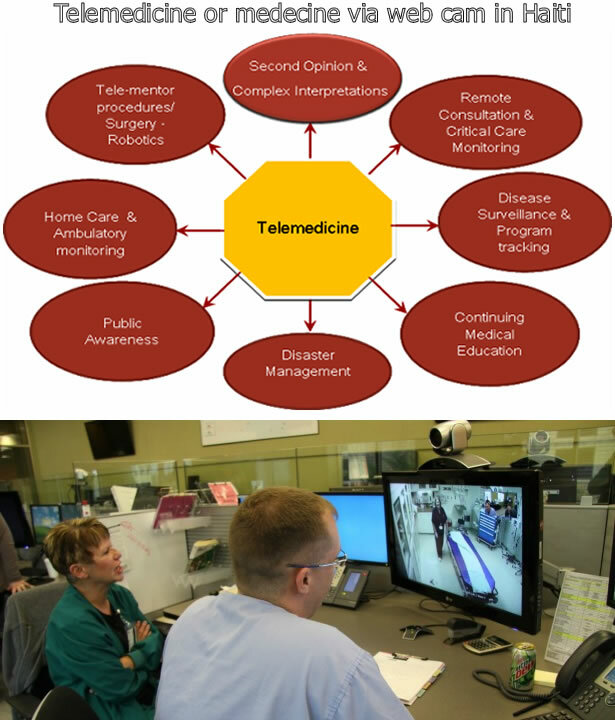 The benefit of the telemedicine service is that doctors' comfort and confidence levels increase with a virtual trauma specialist at hand, monitoring the trauma treatment. Since the first identification of Chikungunya in last May, more than 65,000 suspected cases of Chikungunya have been reported in Haiti. The volunteers of the Haitian Red Cross Society are working actively on the streets of Croix-des-Bouquets to make people aware of the disease. The Chikungunya is a mosquito-borne disease; an infection caused by the Chikungunya virus. It causes an illness with an acute feverish phase lasting 2 to 5 days, followed by joint pains; in certain extremities this pain may persist for years. The Haitian Red Cross Society is working to curb the critical effect of the virus and keep people safe. The volunteers are canvassing some simple but relevant information to many ignorant residents who are not yet aware that how their lives are exposed to this dangerous risk. They are organizing 'train the trainer programs' whereby a trained volunteer will further train others in his community to distribute important information on this epidemic, like, symptoms, how to prevent the disease and where to seek the right treatment. According to a recent published study almost 26% of Haitian-Americans are showing signs of glaucoma, ranging from early to advanced stages of the disease. Glaucoma is defined by a gradual atrophy of the optic nerve that can lead to blindness. The good news is that it can be screened in a healthcare community clinic and treated to forestall any further deterioration of the optic nerve. Associate Professor of Ophthalmology at Miami University's Bascom Palmer Eye Institute, Dr. Richard K. Lee, headed the published study "Glaucoma Screening in the Haitian Afro-Caribbean Population of South Florida". What the data revealed is that older and also younger patients both suffer from Glaucoma. In younger study participants, under 40 years of age, there were signs of high eye pressures and questionable changes to the optic disc. Furthermore, 32% of all study participants showed above-normal eye pressures, which in the end can effect extreme damage to the eye, leading to blindness. Study participants received referrals for further care with their doctors and ophthalmologists, along with participants' test results. It has already wreaked havoc across the Caribbean, infecting hundred of thousands, if not millions in Dominica, Jamaica, and now Haiti. It is the before unheard-of-in-these-parts virus known as Chikungunya. While not in itself considered deadly, the ailment can prove so under certain circumstances, such as in a misdiagnosis. One of the best ways to arm oneself against this is to determine that you, indeed, have Chikungunya, which may be harder to do than you would think. The issue lies in the fact that Chikungunya, like many other viruses, shares its symptoms with other illnesses. In this case, the similarity that is causing a problem for people wishing to be diagnosed and have their sickness named and thus treated, is between Chikungunya and rheumatoid arthritis. Not only are the symptoms similar, but the blood tests used to diagnose both ailments are known to reveal similar results.